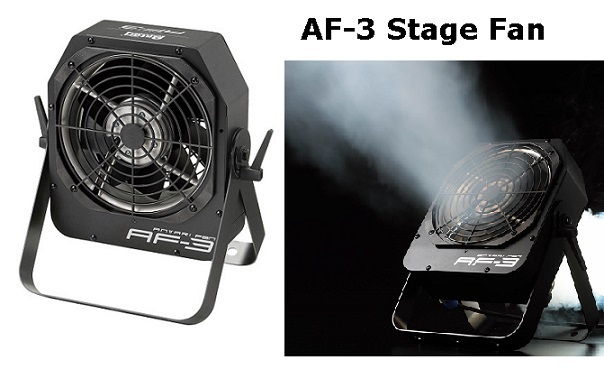 The Antari AF-3™ is a mini but all-purpose stage fan with features 4 control options linear output control, low power consumption, adjustable output directions and a durable road worthy metal housing in a compact package. With on board DMX control and manual knob control as standard as well as wireless and wired remote control options. Low power consumption is only 100W allowing you to put on the same circuit as your fog machine. The adjustable mounting / floor bracket included allows you to adjust the fan output 90 degrees.